Business Calendar 2 is one of the surprisingly popular calendar apps. The app features good customization features. That includes almost two dozen themes, seven calendar widgets, and various calendar views. It also features support for Google Calendar and Exchange Calendar like any good business calendar should. It even has weather information along with everything else. It's not bad for what it is. The pro version goes for $4.99. CalenGoo is a serious calendar app. It has a bunch of features including support for Google Calendar and Exchange Calendar. It also has customization options, decent event options, recurring events, and more. The app doesn't have a huge list of extra features. However, it does the basics better than most. It even supports calendar sharing with other people. That makes it great for families or work use. There is a free trial. The pro version goes for $5.99. DigiCal Calendar is a solid calendar app. 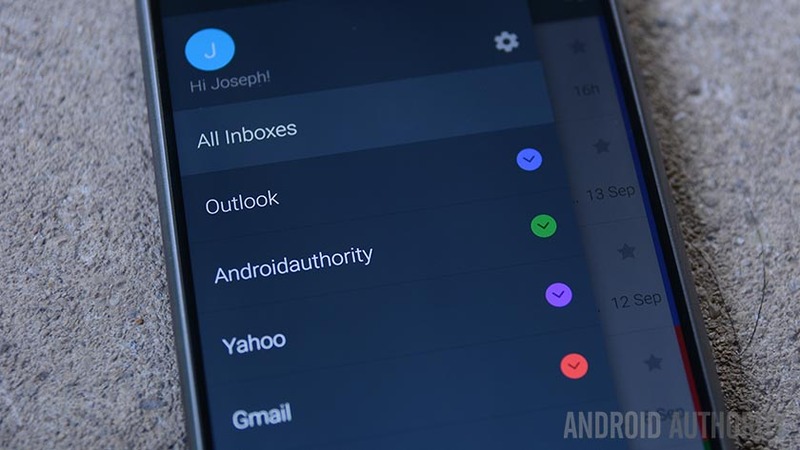 It features Material Design, a dark theme, tons of add-ons, and more. Some of the add-ons include sports calendars, TV schedules, and over 500,000 other events. Other features include themes, weather information, calendar widgets, and support for Google Calendar, Exchange Calendar, and Outlook Calendar. The free version has many of the features while the pro version gets everything. It's just a tad buggy, but nothing too serious. Google Calendar is the de facto app for calendars. It comes stock on many devices. Many other calendar apps integrate directly with it. It's fairly basic in terms of features. It does the usual stuff. There isn't much in the way of customization or theming. However, it does have a good web interface, calendar add-ons, and some other fun stuff. Plus, Google updates it fairly frequently with new features. It's also entirely free with no in-app purchases. Simple Calendar is, well, a simple calendar. It remains disconnected from any large calendar sources like Google Calendar. There is optional CalDAV, though. Otherwise, the calendar is almost completely off the grid. It contains a four by four widget, recurring events, reminders, and other basic stuff. The app is completely free with no in-app purchases or ads. It's also open source. It's the best one for those who need something simple without any extra bloat. TimeTree is one of the few good free calendar apps. It doesn't have a ton of features. However, it does work great for couples, coworkers, and similar types of people. It has better sharing features than many. The app also features reminders, widgets, advanced sharing and invite features, and support for Google Calendar, Apple Calendar, and Outlook Calendar. It's excellent for stuff like keeping track of trash day or family events. The app has advertising. Otherwise, it's free to download and use. Calendar apps are great. However, some people just need a basic solution. Sometimes, other apps include a calendar as part of their functionality. Those calendars aren't as powerful, but they get the job done for basic stuff. 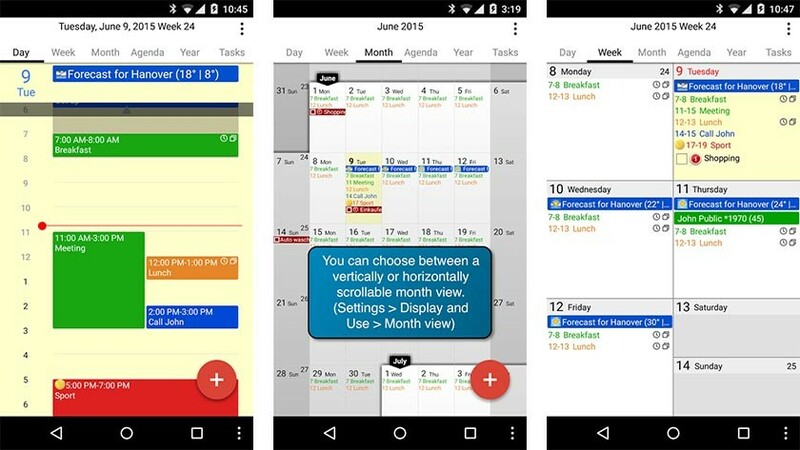 Some email apps like Newton or Outlook have calendars. Widget packs like Beautiful Widgets and HD Widgets have calendar widgets as well. Even some to-do list apps like TickTick have calendars built-in. There are far too many list here. We recommend looking around for apps that cover multiple bases. That's a good start for basic calendar usage. Of course, the stock calendar apps on most phones do a good job for the basic needs. They can do recurring tasks (usually), remind you of upcoming holidays, and create appointments and events. They don't have the extra features like the above calendar apps, but some people just don't always need them. Plus, most of them integrate with Google and Facebook Calendar at the very least. They're also free and pre-installed. That means they won't take up anymore space like a third party app would. Give them a try first.